Supplying and fitting high quality garage doors across Cambridge for over 35 years, Easi-Lift Garage Doors are well-established as the local experts when it comes to helping homeowners update their properties with new garage doors. With a product range that includes everything from up and over to roller garage doors, you will be spoilt for choice when selecting a new door from our range, and with a variety of colours, finishes and materials available, ordering your perfect door is easier than you might think. 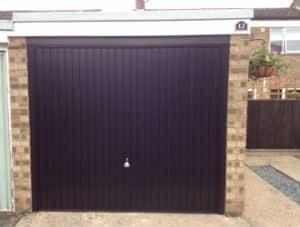 Whether we’re supplying an up and over garage door or roller garage door in Cambridge, we pride ourselves on offering highly competitive prices, exceptional customer service and the very best workmanship in every project we complete. 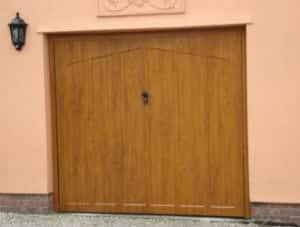 As well as supplying your new garage door, we can also fit it to the highest standards to ensure that it will remain a durable feature of your property for many years to come. 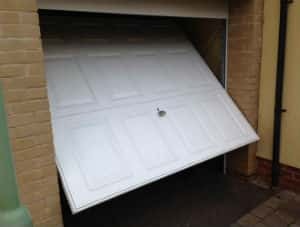 If you have a garage door that is damaged or showing signs of wear and tear, let us carry out maintenance to restore it to full working order. In addition to our regular repair service, we also offer an emergency 24 hour garage door repairs service to secure your property at short notice – so, if your door is stuck, the cables have come off or the spring has broken, we can help! Contact us today to begin your enquiry or to hear more about the garage doors and professional services offered by Easi-Lift Garage Doors in Cambridge. Our local engineer, Terry, has over 35 years of experience. So you can rest assured that you're in safe hands. 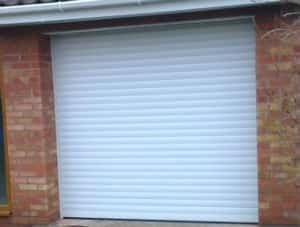 With 24 hour emergency callout, whatever time of day you need garage door repairs: we can be there to help. Alternatively if you have questions or would like more information on our services and the solutions we offer then you can send a message using the form below. We aim to reply within 48 hours.